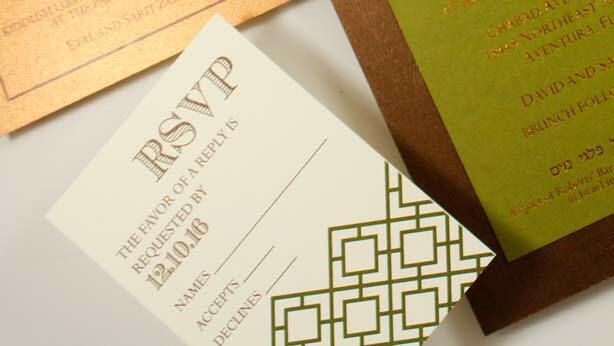 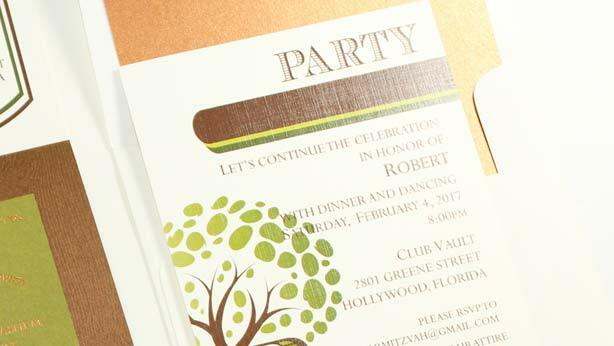 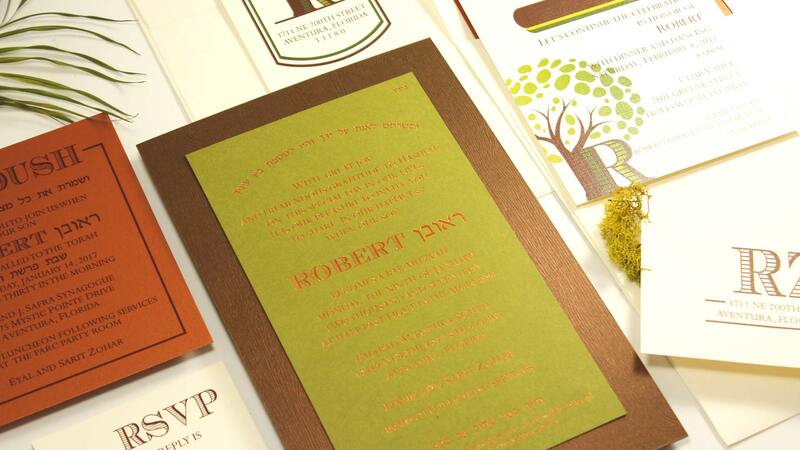 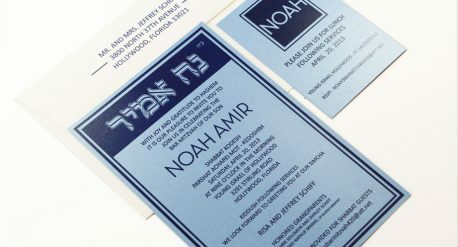 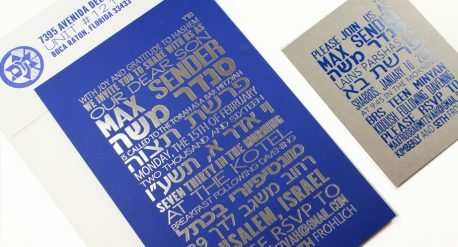 Double layered ultra thick invitation with tree bark embossed shimmer paper. 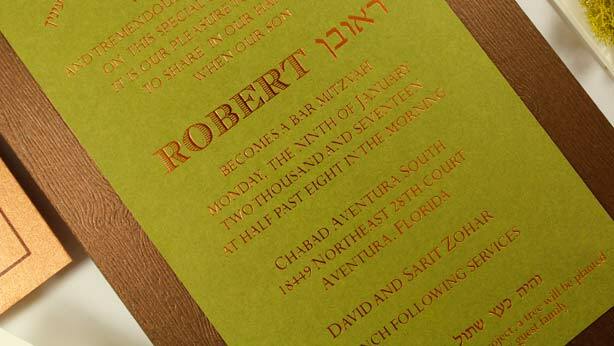 Copper foilstamping on beautiful green stock. 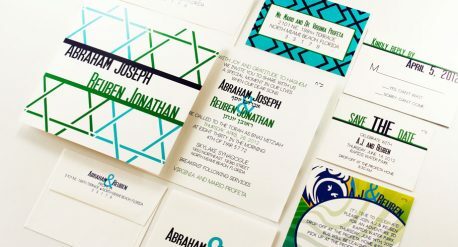 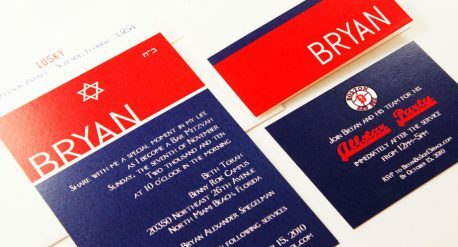 Matching inserts.